Oculus released a new video which showcases Social Club VR from Perilous Orbit – a multiplayer casino type game for VR enthusiasts. 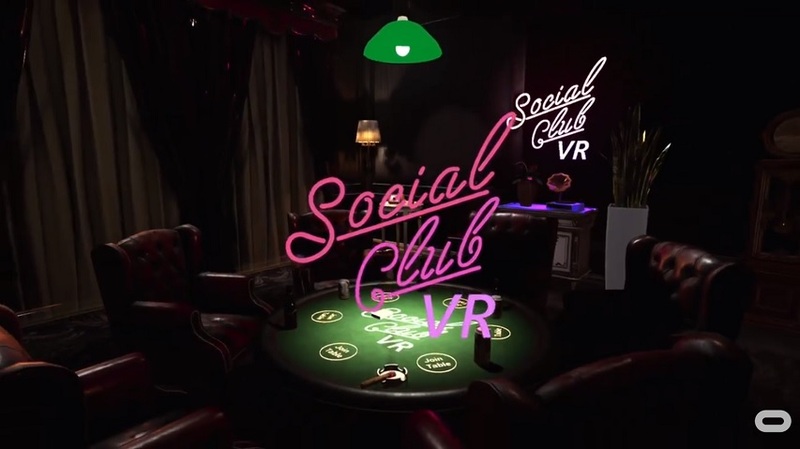 Social Club VR is an addictive single and multi-player game that allows you to head to a high-class Casino from the comfort of your own living room, where you are in control. Enjoy games like Blackjack, Texas Hold’em Poker and Roulette. You can customize your world, from the hat your avatar is wearing, to the music you hear, and what you see on the TV screens. Personalize, and then play your favorite games to earn and unlock more fun. Maybe you want to hone your skills for a trip to Vegas, with our AI or with other players from around the world. Maybe you want to meet up with 5 (6 Total Players) of your old friends for a fun night of Casino Games, Casual Games, Shooting Gallery Games, or maybe you all just wanna grab some swords off the wall and have a good ol’ Pirate Fight. It could be that you are looking for a place to make your own, so you can relax. Whatever you’re looking for, you can find it in Social Club VR.